There are so many sweet moments to share with Baby Alive Real As Can Be Baby! 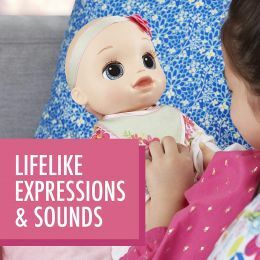 With over 80 lifelike movements, expressions and real baby sounds, this very special baby responds to a child’s voice and touch. 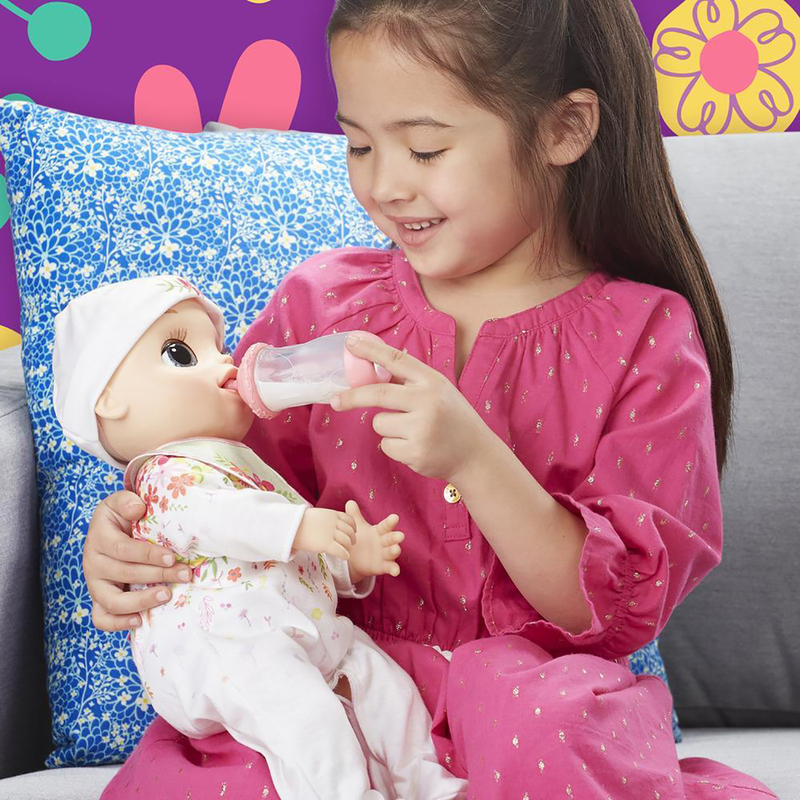 Kids will love caring for her like their own baby! Kids can tickle Real As Can Be Baby and she wiggles and giggles. Baby loves to chat and turns towards the sound when a child speaks to her. Hold baby’s hand to her mouth and help her blow kisses. What a sweetheart! 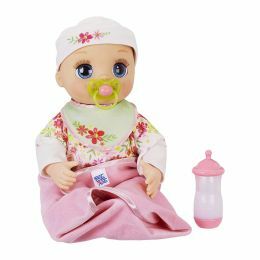 If baby makes fussy noises, put on her bib and give her a bottle. She makes slurping and drinking sounds. Then pat her back to hear her burp. 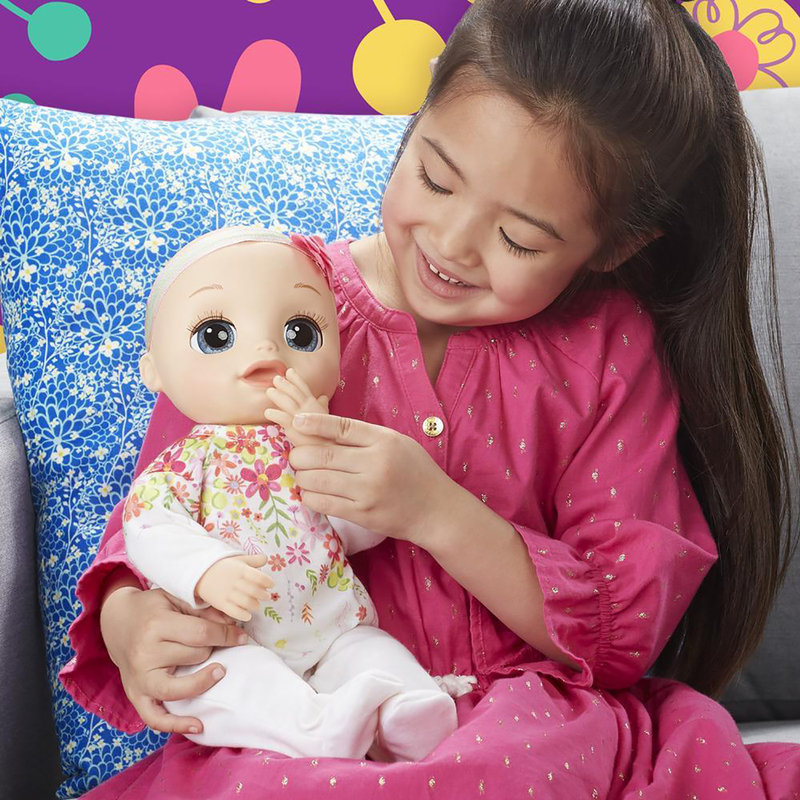 And after playtime, this soft, snuggly baby can nap with your child too. When it’s time for sleep, swaddle baby in her pretty matching blanket. 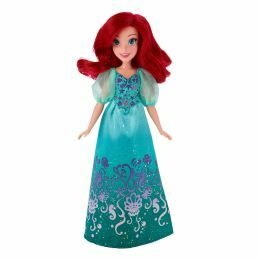 Listen to her sweet, sleepy sounds as she drifts off to sleep. 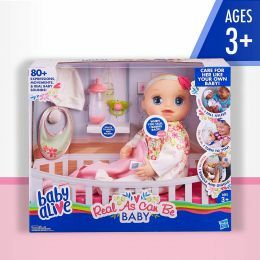 With Real As Can Be Baby, there is so much fun for little mommies and daddies! 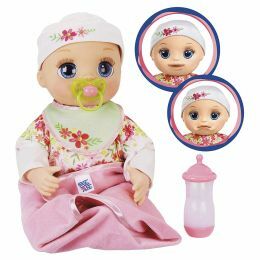 Includes doll, removable outfit, hat, bib, blanket, pacifier, bottle, and instructions. 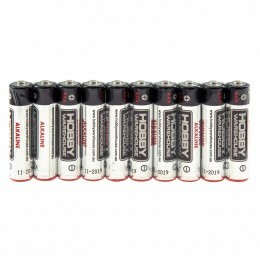 Warning: Choking Hazard – Small parts will be generated. Not for children under 3 years.